Air Asia Promo Fare: Today, August 8, 2017 marks the 50th Anniversary of ASEAN or known as Association of Southeast Asian Nations. There are currently a total of 10 countries forming the ASEAN. These are Indonesia, Malaysia, Thailand, Philippines, Singapore, Myanmar, Vietnam, Brunei, Cambodia, and Laos. In line with this anniversary celebration, Air Asia PH is offering a promo fare of Php 950 ALL IN one-way fare. The base station is at Cebu City. 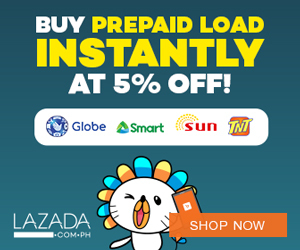 Domestic routes on promo includes Kalibo, Davao and a lot more. Booking period is until August 13, 2017. The ASEAN is instituted to form an international community. In this set up, there are possible opportunities that are advantageous to member-countries. There is this ASEAN University Network where students from different countries can cross-enroll. A protection to biological diversity is tackled. It also forms an economic market in terms of production. One nice thing is that you can travel without a VISA! There's a lot of good things that are products of the formation of ASEAN. And with that, Air Asia plays a big role in terms of air transportation be it the passengers, cargos and etc. So take advantage of this Air Asia promo fare and book your tickets. 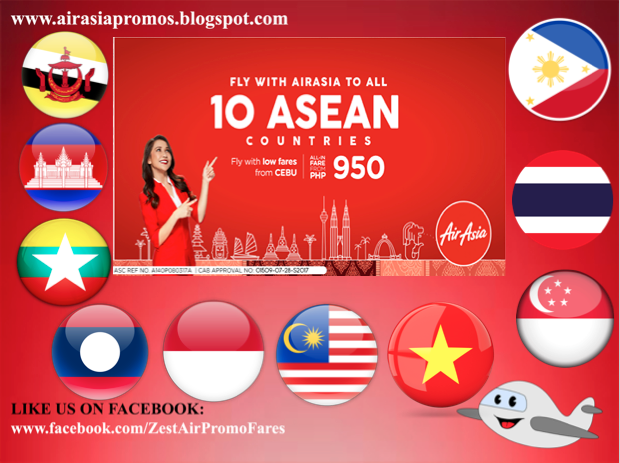 Air Asia Promo Deals for 7 days!